Hanoi (VNA) – Prime Minister Nguyen Xuan Phuc has requested ministries and sectors to make greater efforts in order to achieve a growth rate of 6.7 percent in 2017, thus contributing to the accomplishment of growth target set for 2016-2020 by the Central Party Committee and the National Assembly. 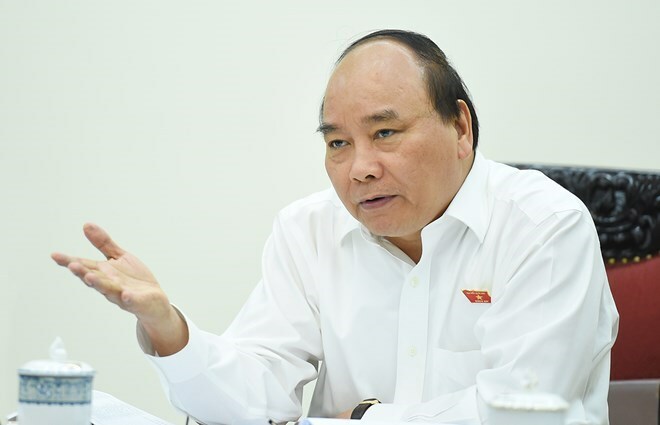 While chairing a meeting with leaders of ministries and sectors in Hanoi on May 22, PM Phuc said this year’s economic growth is of importance, affecting many other macroeconomic indicators, especially state budget collection and spending, public debts, employment and income of workers. Therefore, the government leader asked his deputies, ministers and heads of sectors to make drastic instructions, update the situation and actively take suitable solutions in a bid to achieve their own goals and the country’s growth target as well. He assigned the Ministry of Planning and Investment to summarise reports and other ministries, particularly the Ministries of Industry and Trade, Agriculture and Rural Development, Construction, and Transport, to update the government on the implementation of their own growth targets at monthly cabinet meetings. Meanwhile, the Ministry of Planning and Investment, the Ministry of Finance and the State Bank of Vietnam were ordered to work out specific solutions to remove difficulties, boost growth and ensure macroeconomic stability, hence laying a foundation for sustainable growth. At the April meeting and in its report presented at the opening of the third session of the 14th National Assembly on May 22, the Government also mentioned growth targets of major sectors in 2017.